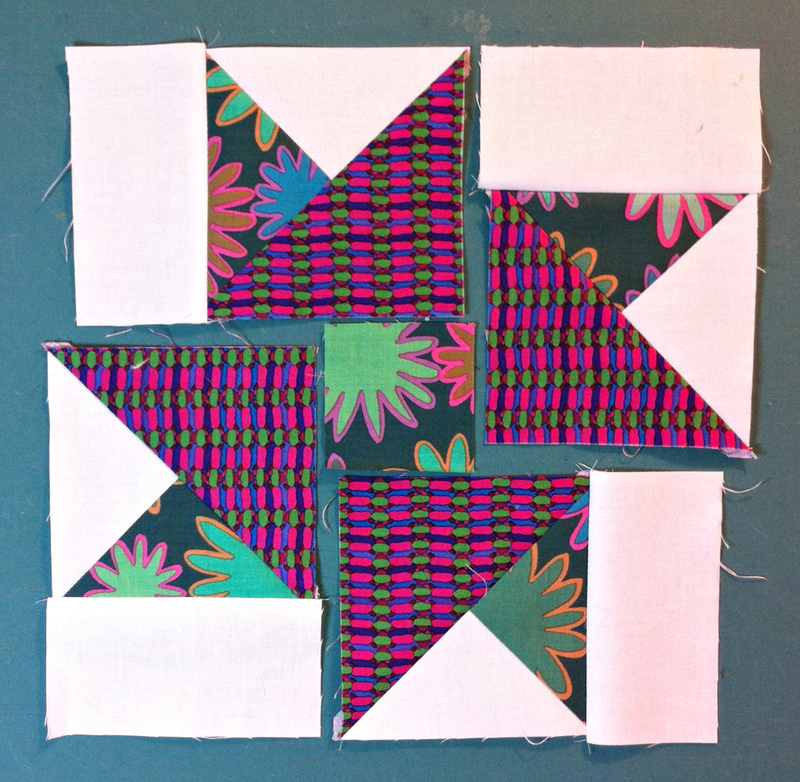 This week’s quilt-along block, Block #20, is Winged Arrow, from a syndicated mail-order column written by Florence LaGanke Harris; printed in many periodicals in the late 1920s – 1940s. 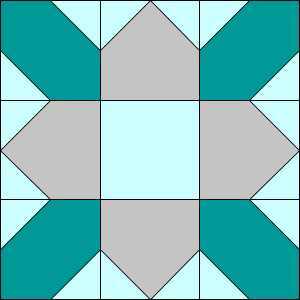 From background, (pale blue and green in photo above) cut 8 — 3 5/8″ squares (cut in half diagonally to make 16 A triangles). 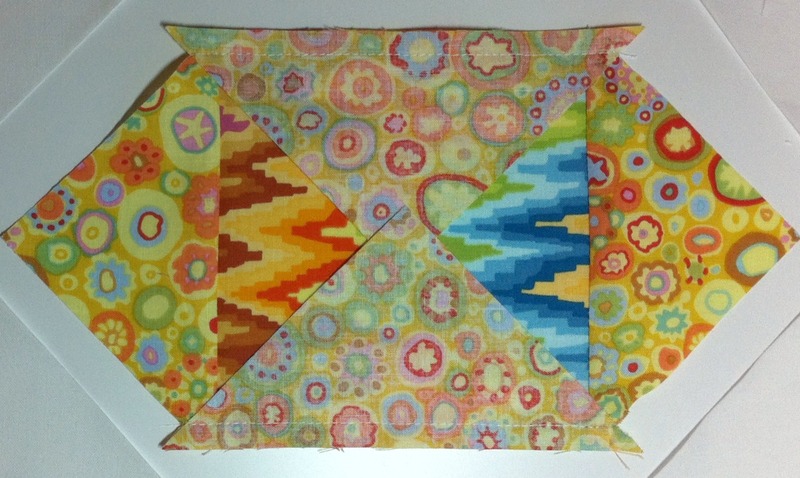 From accent fabric #1 (orange in photo above) cut 1 — 5 3/4″ square (cut in half diagonally twice to make 4 B triangles). 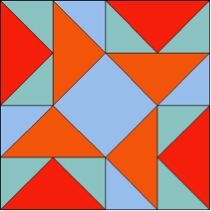 From accent fabric #2 (red-orange in photo above) cut 1 — 5 3/4″ square (cut in half diagonally twice to make 4 B triangles). 1. 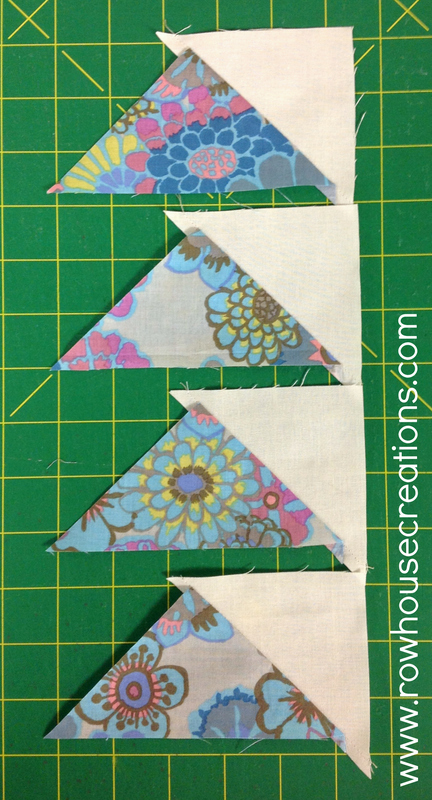 Join one background A triangle and one accent fabric #1 B triangle as shown below. 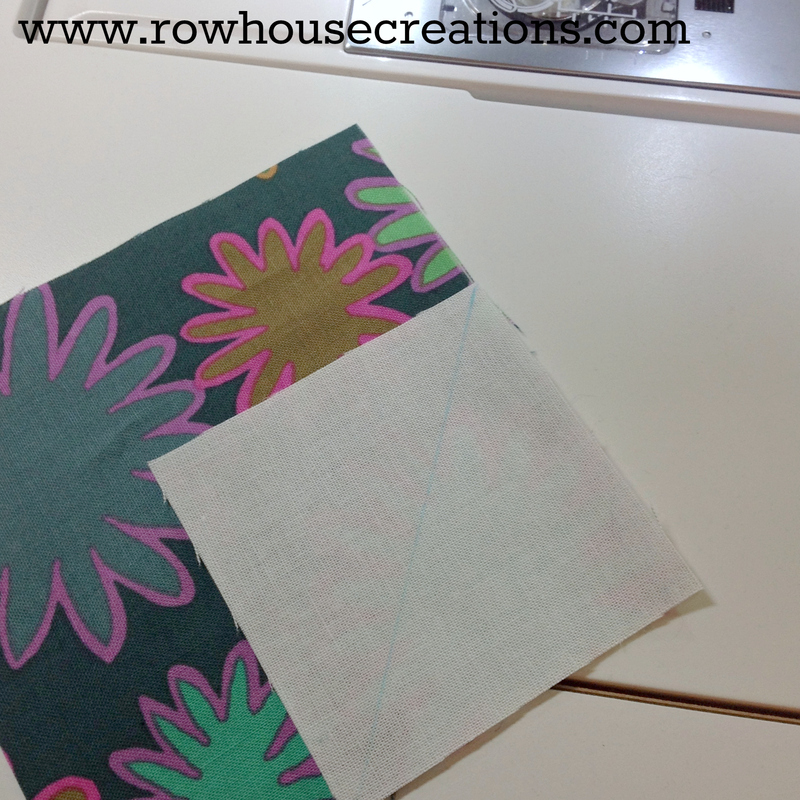 Press seam allowance toward print fabric. Make four. 4. 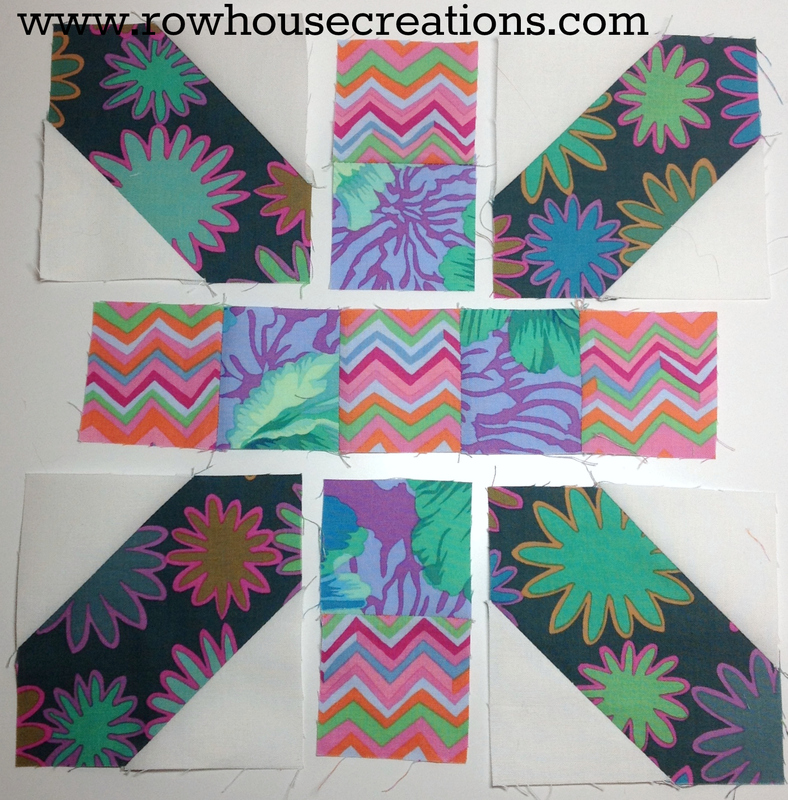 Repeat steps 1-3 using accent fabric #2 B triangles. 5. 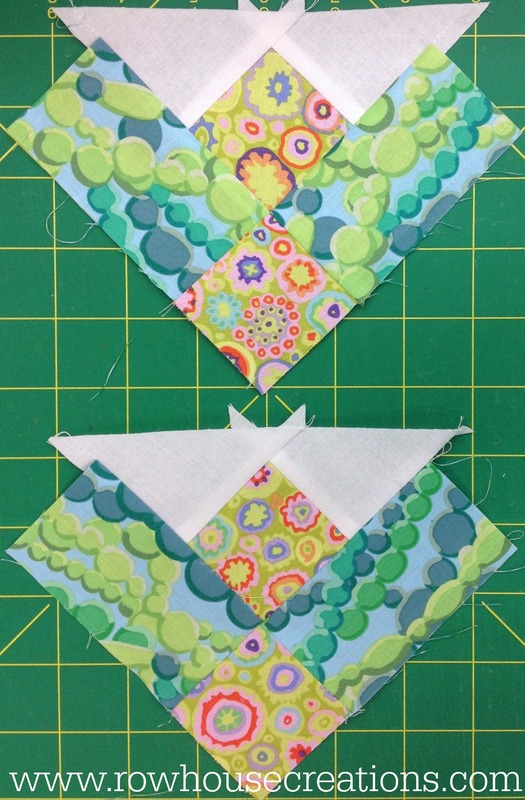 Join an accent fabric #1 flying geese to the bottom edge of an accent fabric #2 flying geese. Unit should measure 5″ square. 6. Lay out four units in the spinning direction shown below. 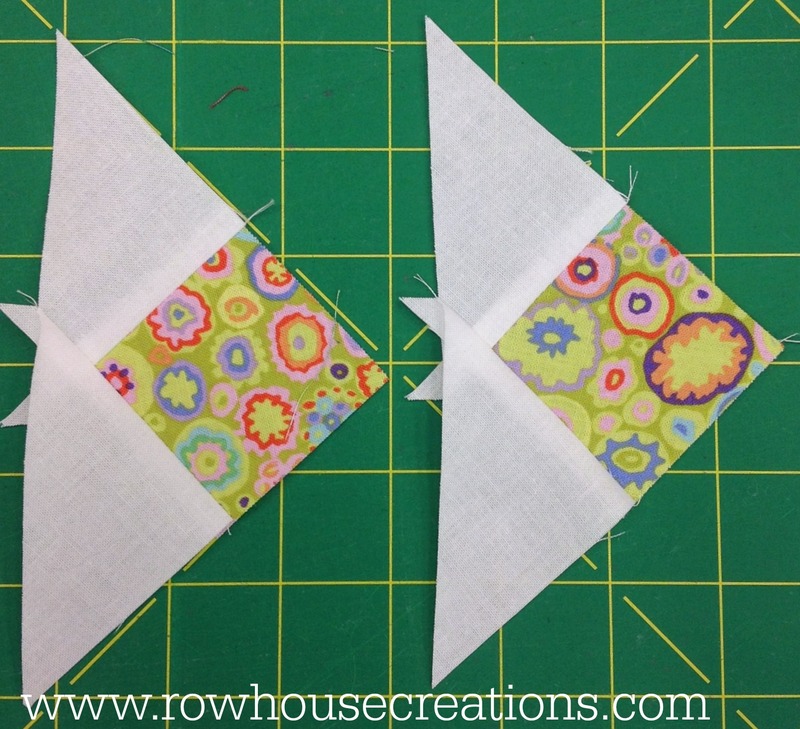 Join into rows, join rows to complete Winged Arrow block. 7. 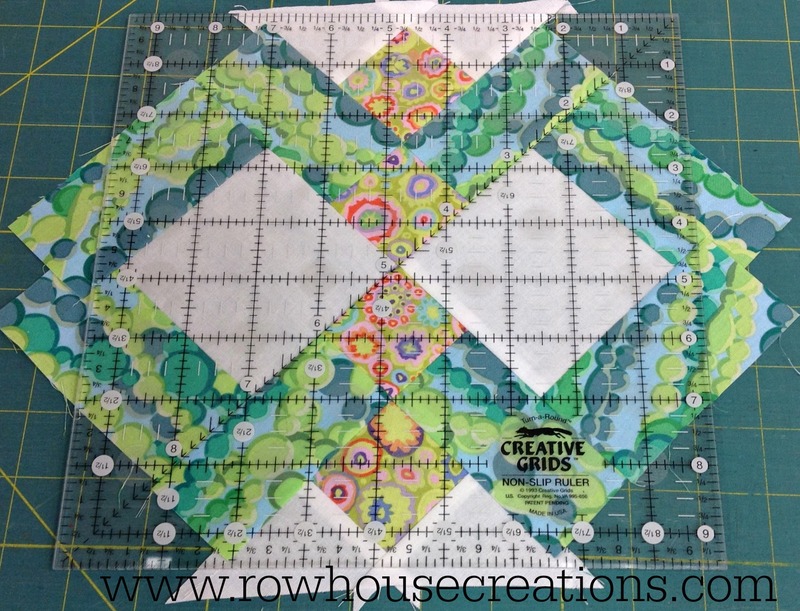 Square block to 9 1/2″. Remember to share your pics with us via the Facebook page or the Flickr group! Or email us a pic at rowhousecreations(at)yahoo(dot)com. We’d love to see them! Stay tuned, we have a new pattern release to announce this week! From Encyclopedia of Pieced Quilt Patterns by Barbara Brackman, ©1993: Published by Nancy Cabot Syndicated column written by Loretta Leitner Rising for the Chicago Tribune in the 1930s. There were hundreds of Cabot patterns that were sold mail-order and grouped in booklets. The same patterns were also sold by the Spinning Wheel syndicate and the Progressive Farmer. The Cabot column began in 1932 and continued through the decade. Patterns were reprinted in the 1960s and ’70s by several small publishers but are currently out-of-print again as far as I know. Many of those attributed to Cabot by various indexers are probably NOT actually from that source. This block was also published in the February 1945 issue of Farm Journal with the name of Home of Hartford. 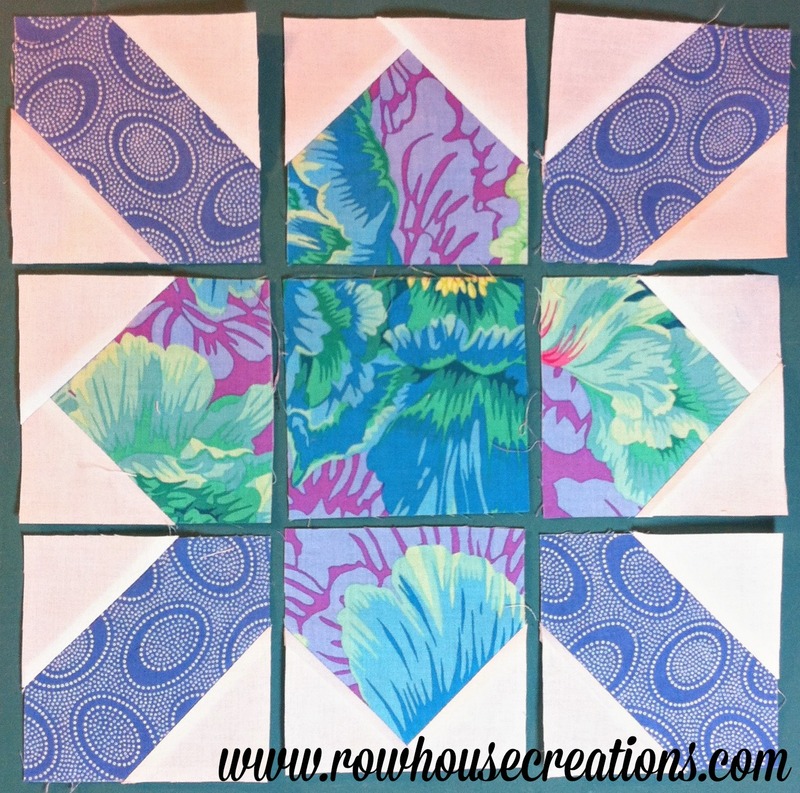 From background, (pale lavender in photo above) cut 4 — 2 1/4″ x 4 1/8″ rectangles, cut 1 — 4 3/4″ square (cut in half diagonally twice to make 4 A triangles). 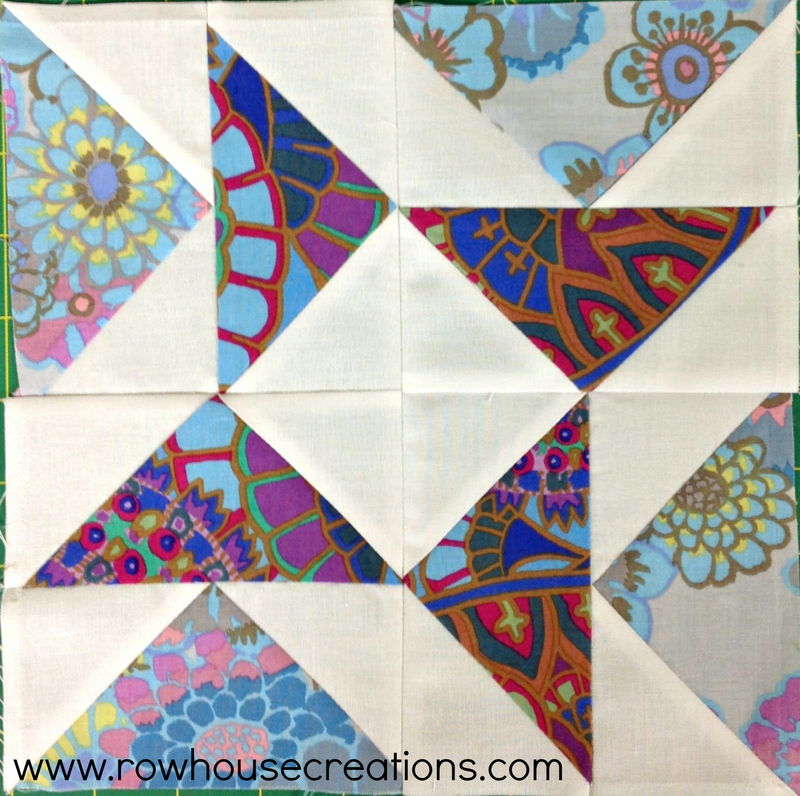 From accent fabric #1 (rose color in photo above), cut 1 — 4 3/4″ square (cut in half diagonally twice to make 4 A triangles), cut 1 — 2 1/4″ square. 3. 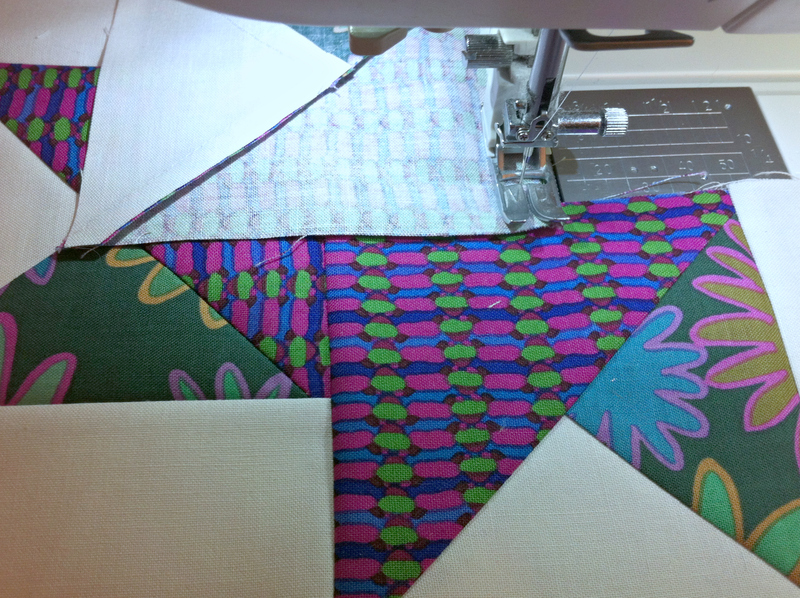 Press seam toward B triangle. 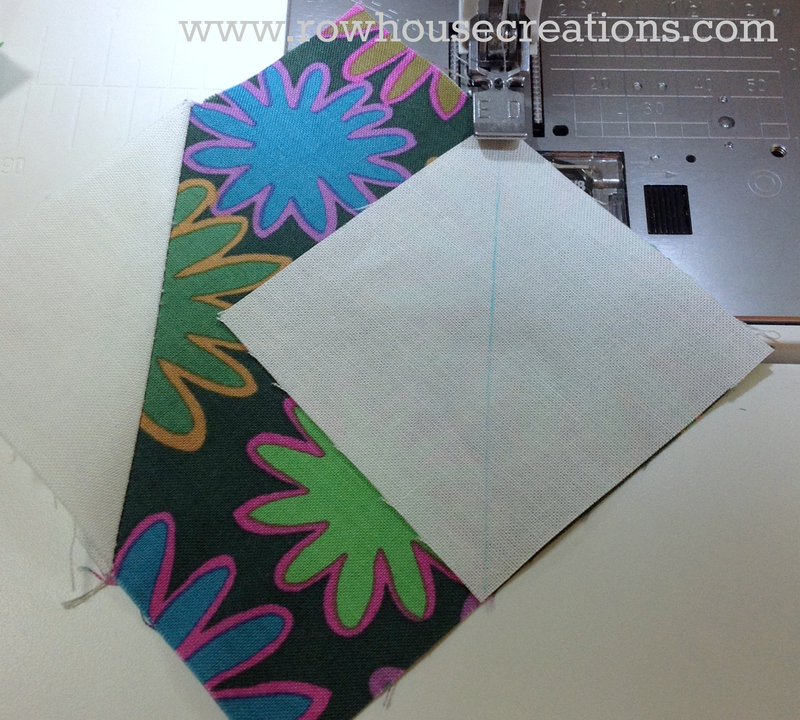 Add a 2 1/4″ x 4 1/8″ background rectangle along the accent fabric #1 side. Press seam open. 5. The first seam you will sew is #1 in the diagram below. 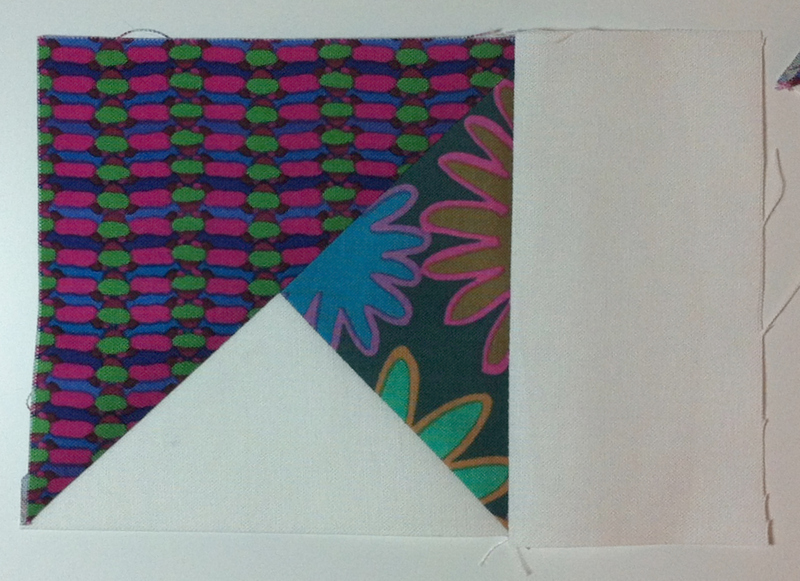 Line up, with right sides together, the large rectangle and the 2 1/4″ accent fabric #1 square. 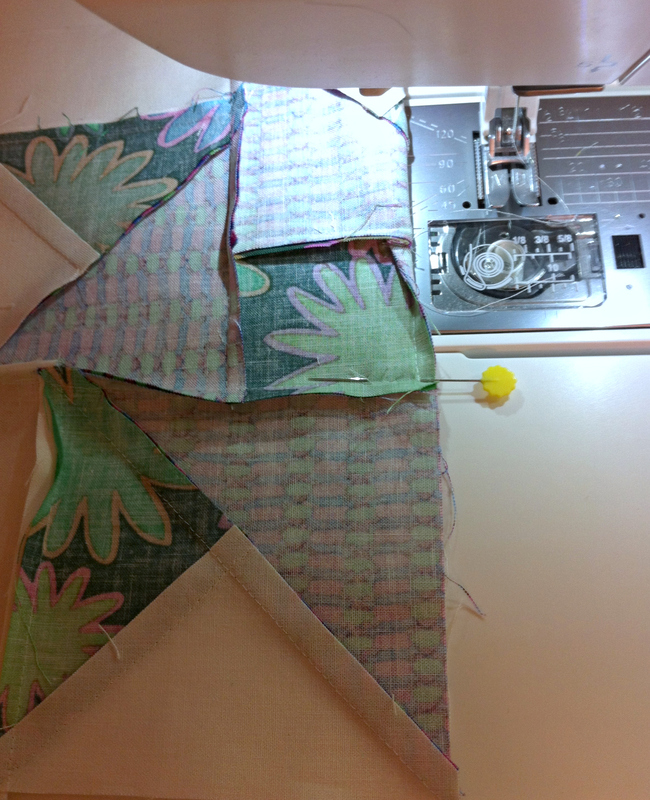 Stop sewing your seam 1/4″ from the end of the small square piece. 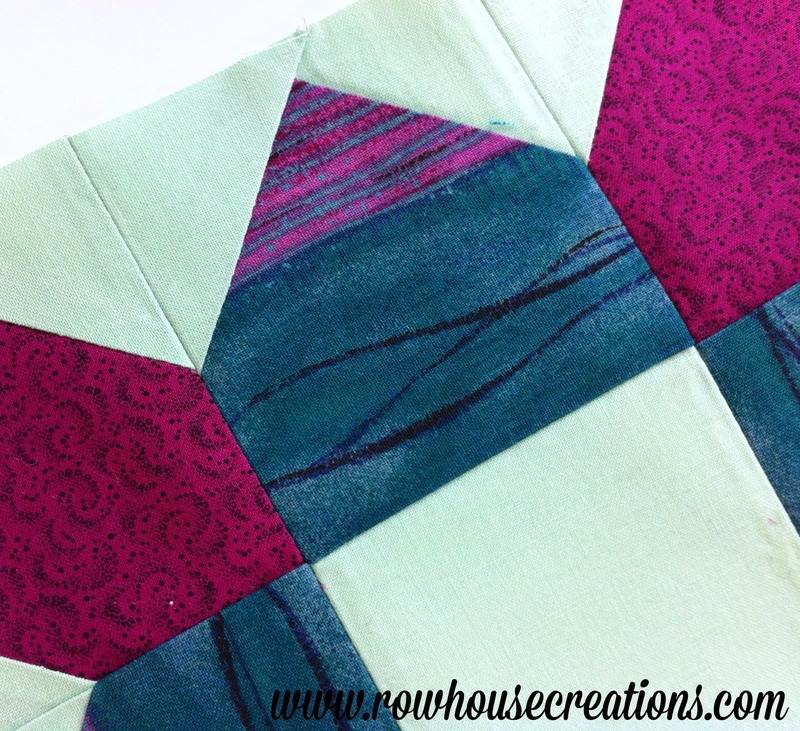 Press seam toward accent fabric #1 square. 6. Add remaining rectangles in the order shown in above diagram. 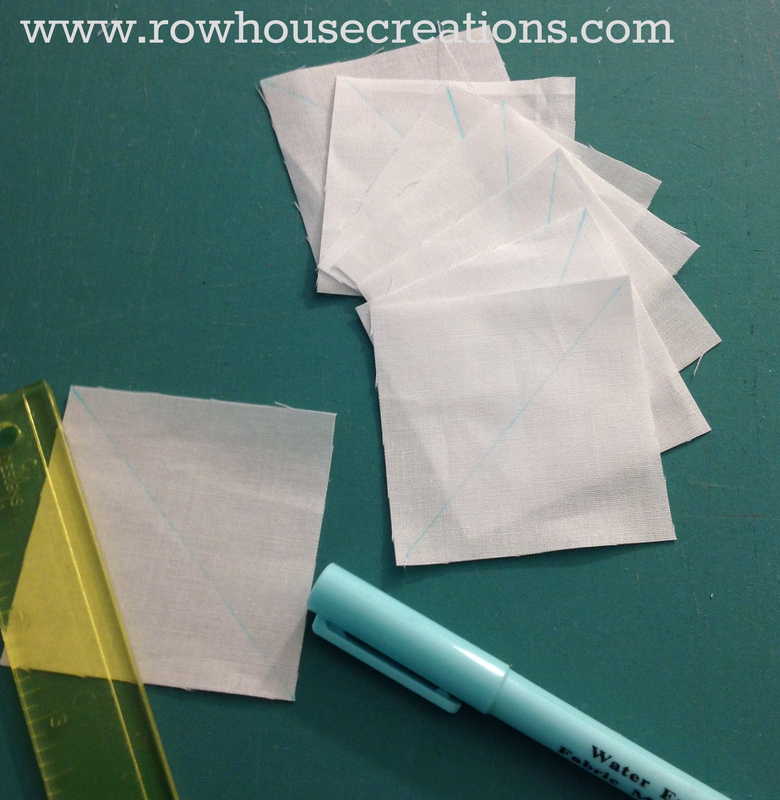 Press each seam toward larger rectangle. 9. Set needle down at 1/4″ point you left off on seam #4, and sew to edge to complete block. 10. 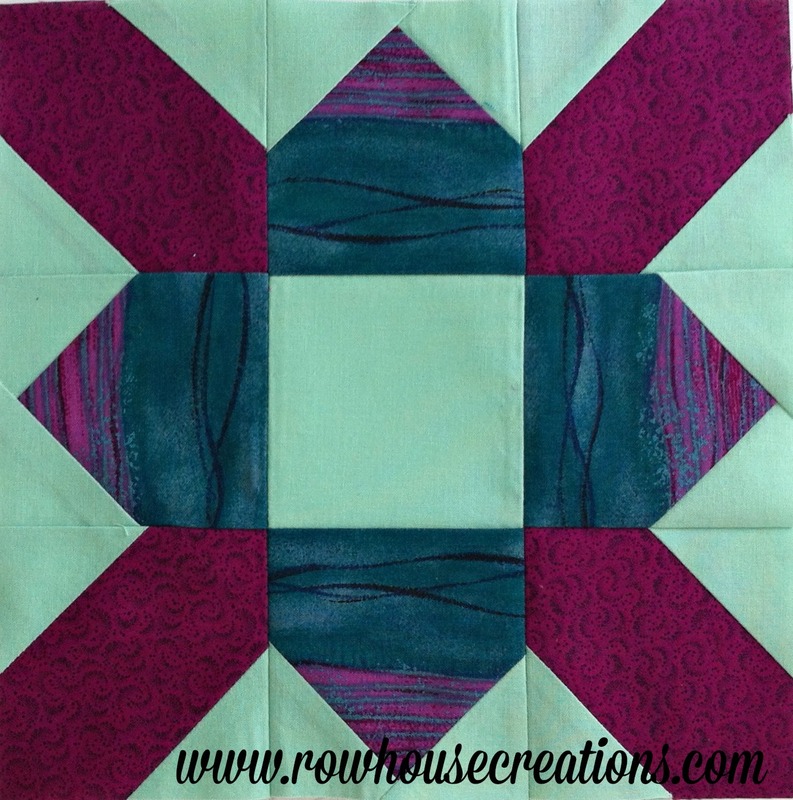 Square block to 9 1/2″. From Encyclopedia f Pieced Quilt Patterns by Barbara Brackman, ©1993: Published by Nancy Cabot Syndicated column written by Loretta Leitner Rising for the Chicago Tribune in the 1930s. There were hundreds of Cabot patterns that were sold mail-order and grouped in booklets. The same patterns were also sold by the Spinning Wheel syndicate and the Progressive Farmer. The Cabot column began in 1932 and continued through the decade. Patterns were reprinted in the 1960s and ’70s by several small publishers but are currently out-of-print again as far as I know. Many of those attributed to Cabot by various indexers are probably NOT actually from that source. 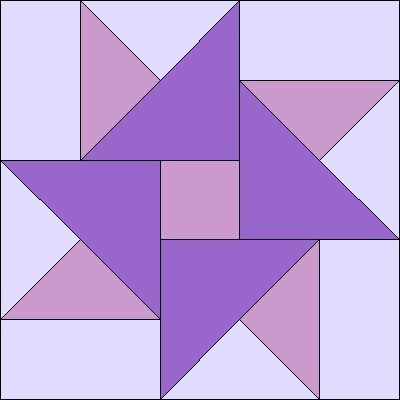 From background, (white in photo above) cut 2 — 3 5/8″ squares, 2 — 3 1/4″ squares (cut in half diagonally to make 4 B triangles), and 1 — 3 1/2″ square (cut in half diagonally in both directions to make 4 A triangles). 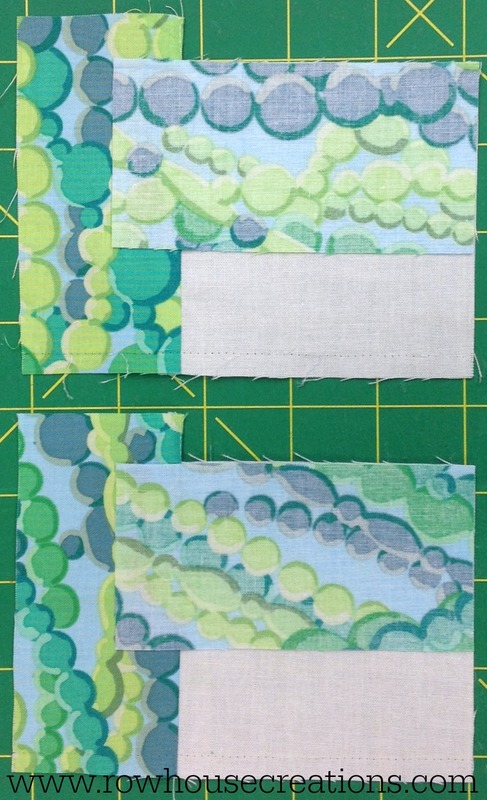 From accent fabric #2 (Green bead print in photo above), cut 4 — 2 1/8″ x 3 5/8″ rectangles, and 4 — 2 1/8″ x 4″ rectangles. 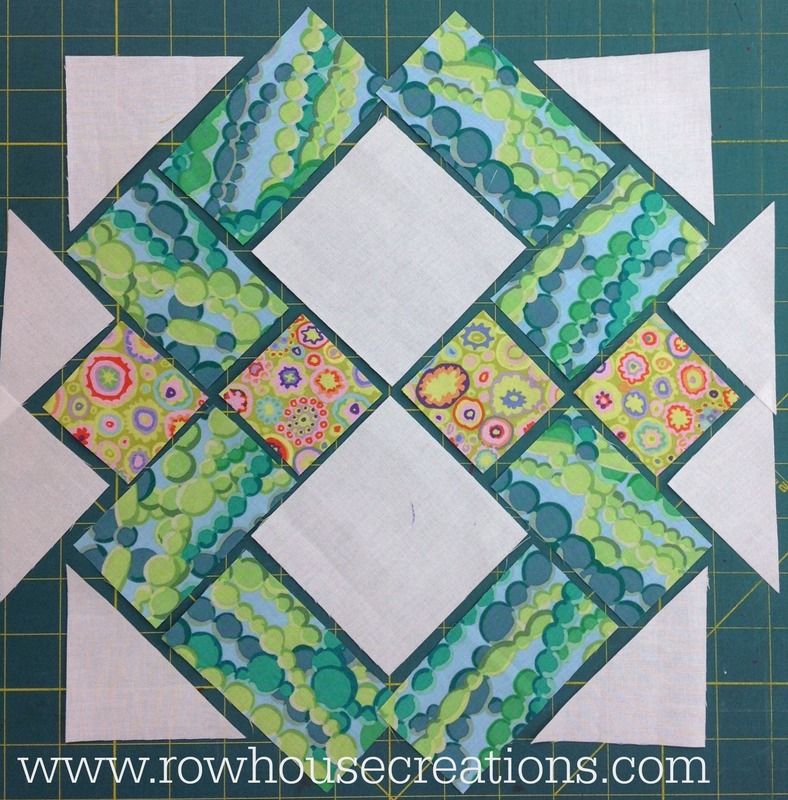 TIP: Because this block is a little complicated, and set on point in a way, I recommend laying your pieces out like I did above so you can see how they will fit together before you start piecing. 13. 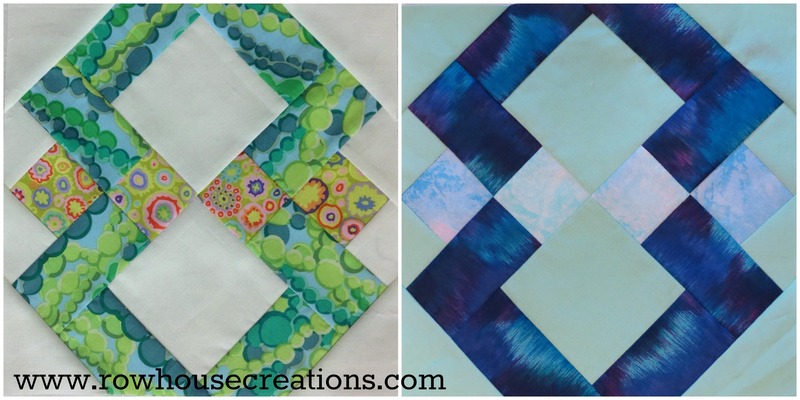 Add a B background triangle to each corner of your block. Square up to 9 1/2″, if needed. Piecing this block threw me at first (I didn’t have directions!) but if you follow step-by-step the instructions given, I promise it will work and it isn’t as complicated as it look. 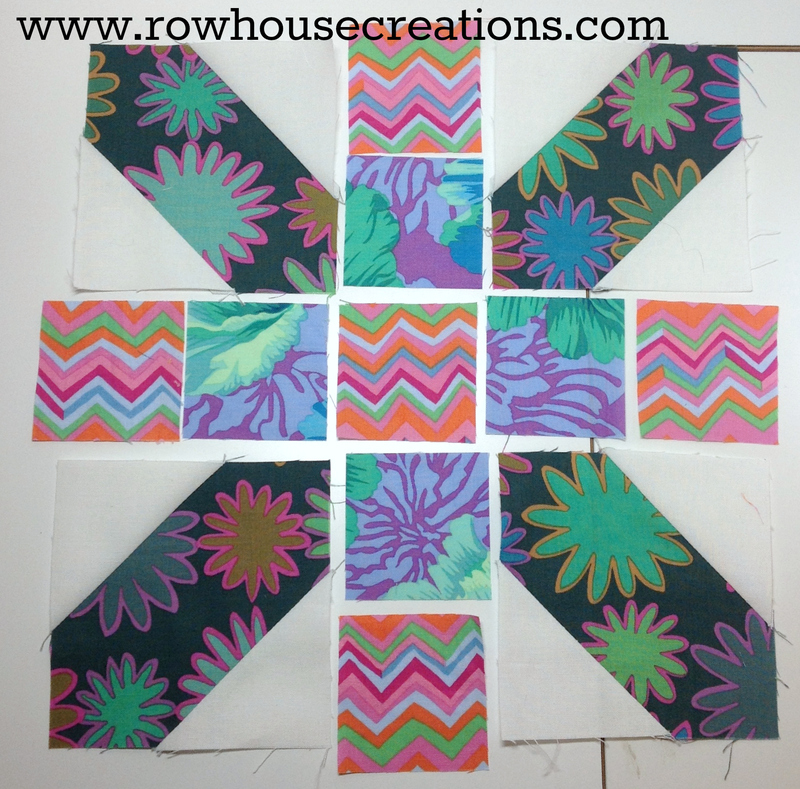 I sort of want to make an entire quilt using this block! 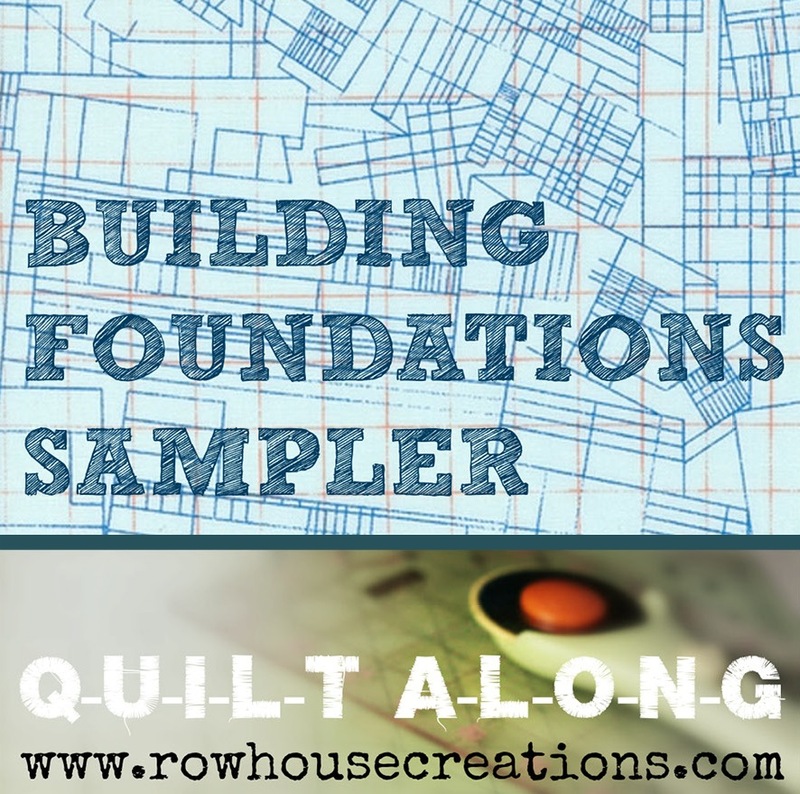 How are you doing with your own Quilt-a-Long blocks? Hopefully our unintended break gave you time to get all caught up! Remember to share your pics with us via the Facebook page or the Flickr group! Or email us a pic at rowhousecreations(at)yahoo(dot)com. We’d love to see them! According to Jinny Beyer’s book, Prairie Flower was published by Jane Alan, Illinois State Register, April 2, 1933. However, Barbara Brackman attributes the block to Nancy Cabot: from a syndicated column written by Loretta Leitner Rising for the Chicago Tribune in the 1930s. There were hundreds of Cabot patterns that were sold mail-order and grouped in booklets. The same patterns were also sold by the Spinning Wheel syndicate and the Progressive Farmer. The Cabot column began in 1932 and continued through the decade. Patterns were reprinted in the 1960s and ’70s by several small publishers but are currently out-of-print again as far as I know. Many of those attributed to Cabot by various indexers are probably NOT actually from that source. We both LOVE this block. 1. 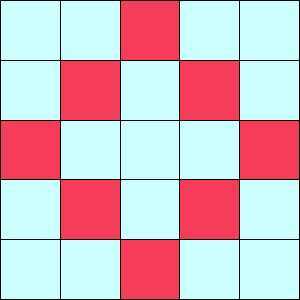 On the wrong side of each 2 1/2″ background square, draw a line diagonally from one corner to the opposite corner. 2. 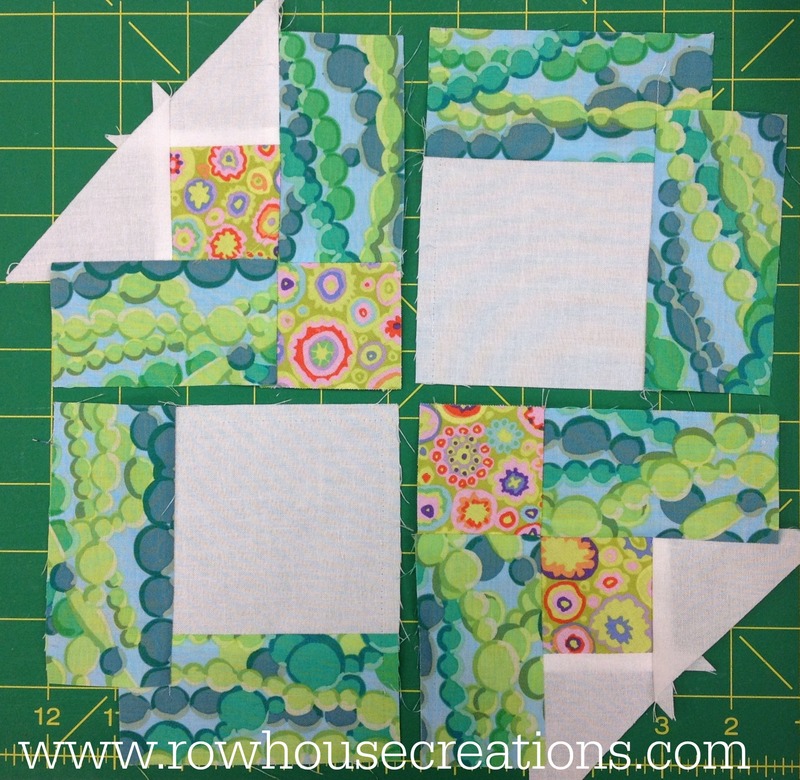 Place a background square atop one of your 3 1/2″ Accent Fabric #2 squares, right sides together (RST). 3. Stitch on the diagonal line you drew in Step 1. Trim the excess from the corner, press seam open. 4. Repeat Steps 2 & 3 on opposite corner to finish the Corner Unit. Make 4 Corner Units. 5. 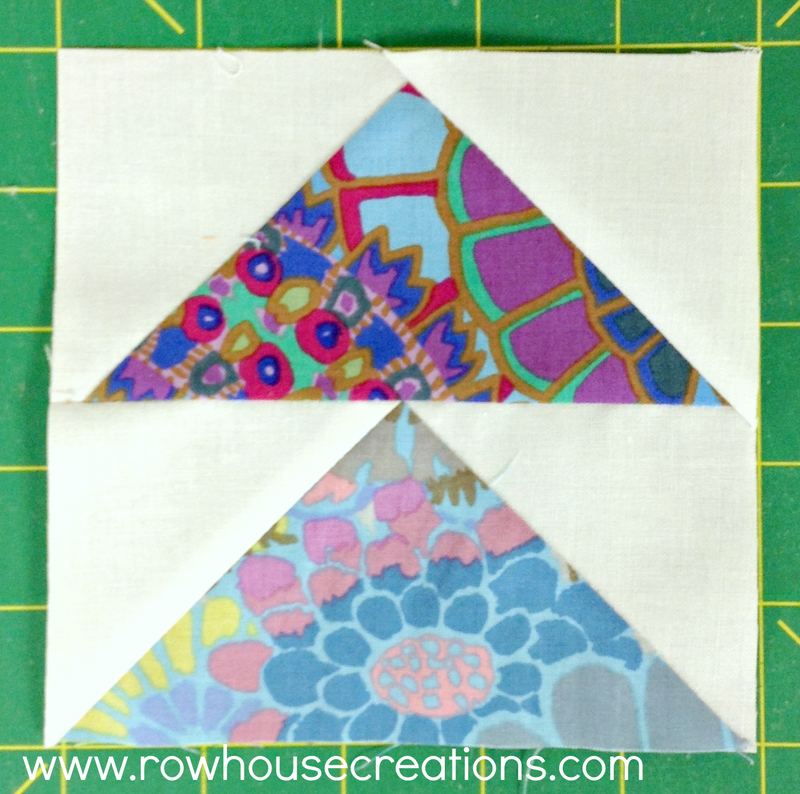 Place a background square atop one of your 3 1/2″ Accent Fabric #1 squares, right sides together (RST). 6. Stitch on the diagonal line you drew in Step 1. Trim the excess from the corner, press seam open. 7. Repeat Steps 5 & 6 on adjacent corner to finish the Alternate Units . Make 4 Alternate Units. January 15th already; Spring will be here before we know it (Thank goodness!) 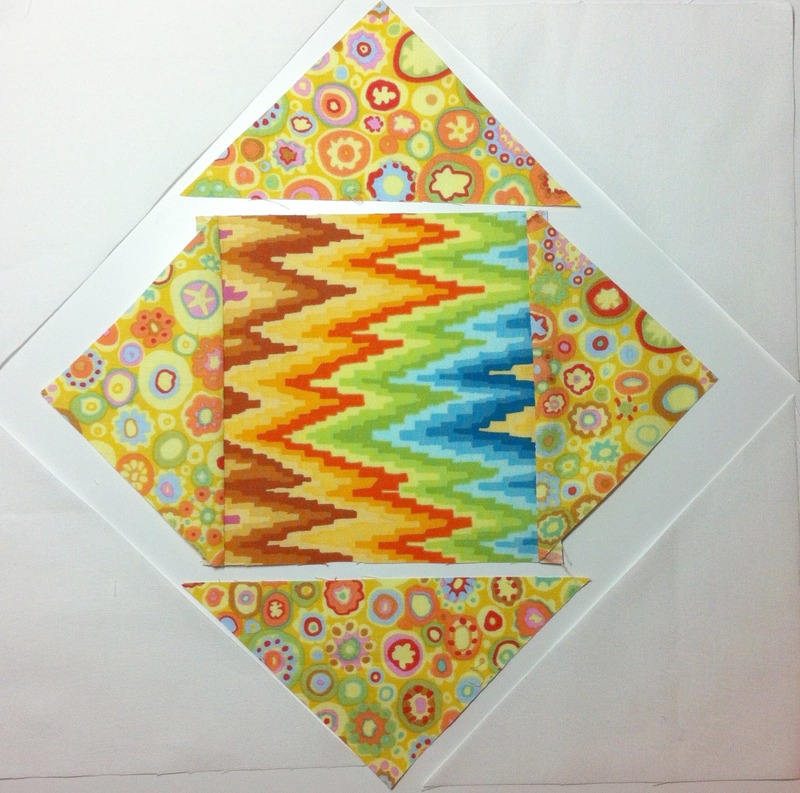 Trina finished quilting our prototype for Pattern #6 last week (Coming Early 2014) and it is stunning! I’m going to be finishing the binding tonight. I may show you some sneak peeks here next week. 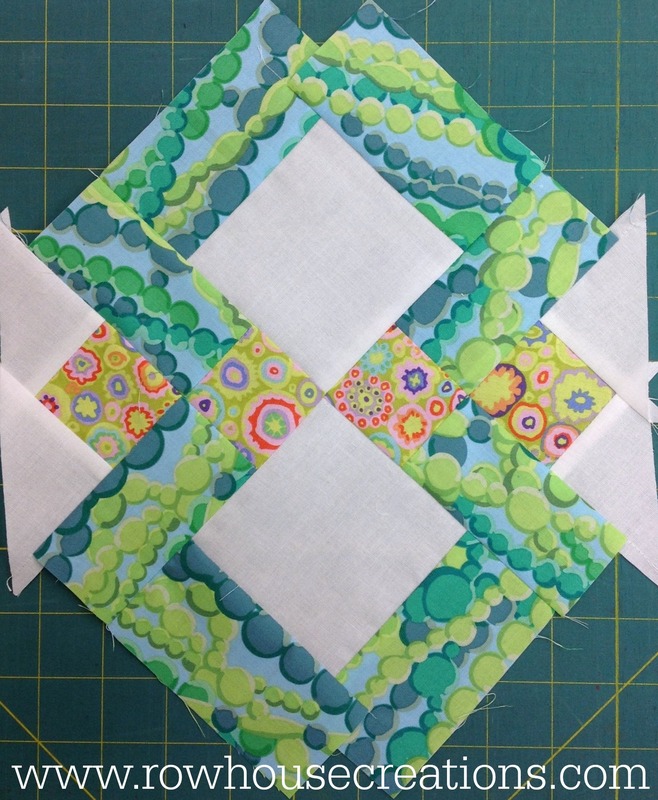 Block #11, the Spool Block, is very similar to the currently popular x & + block. The middle bar is the only difference. The original design is by Nancy Cabot, first published in the Chicago Tribune on April 1, 1938. It’s reappearance at a recent Japanese Quilt Festival in this quilt by Setsuko Inagawa brought about the contemporary interest in it. From background, cut 8 – 2 5/8″ squares. 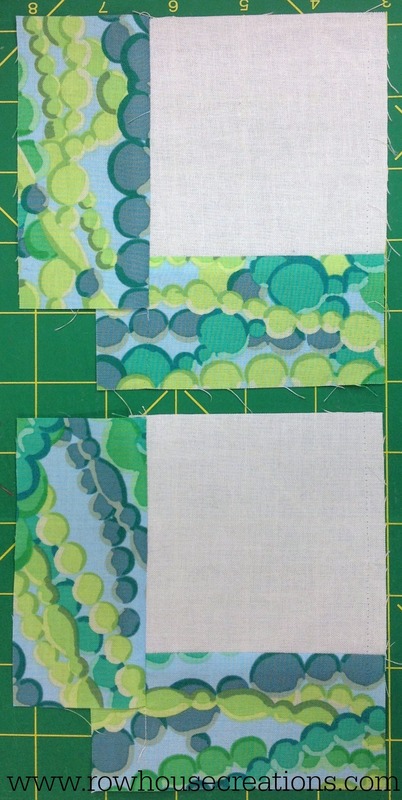 From accent fabric #1 (X-piece, dark green in my block above) cut 4 – 4 1/4″ squares. 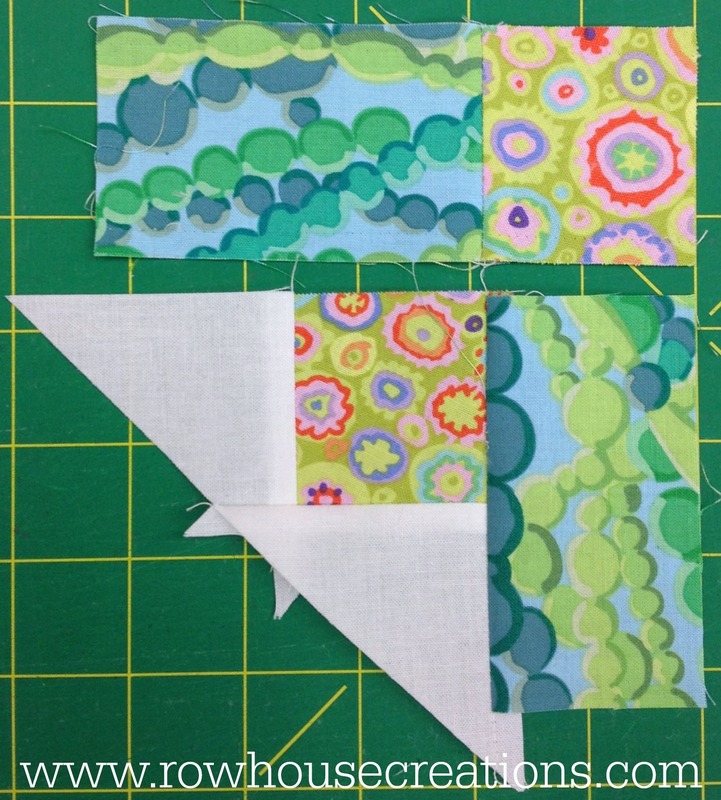 From accent fabric #2, cut 5 – 2 1/4″ squares. 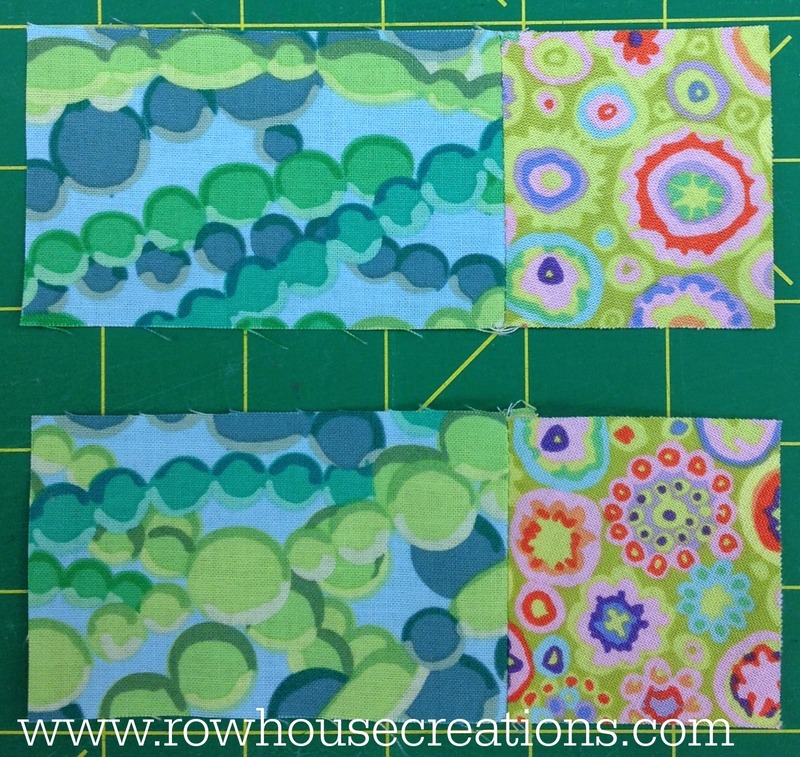 From accent fabric #3, cut 4 – 2 1/4″ squares. 1. On the wrong side of each 2 5/8″ background square, draw a line diagonally from one corner to the opposite corner. 2. 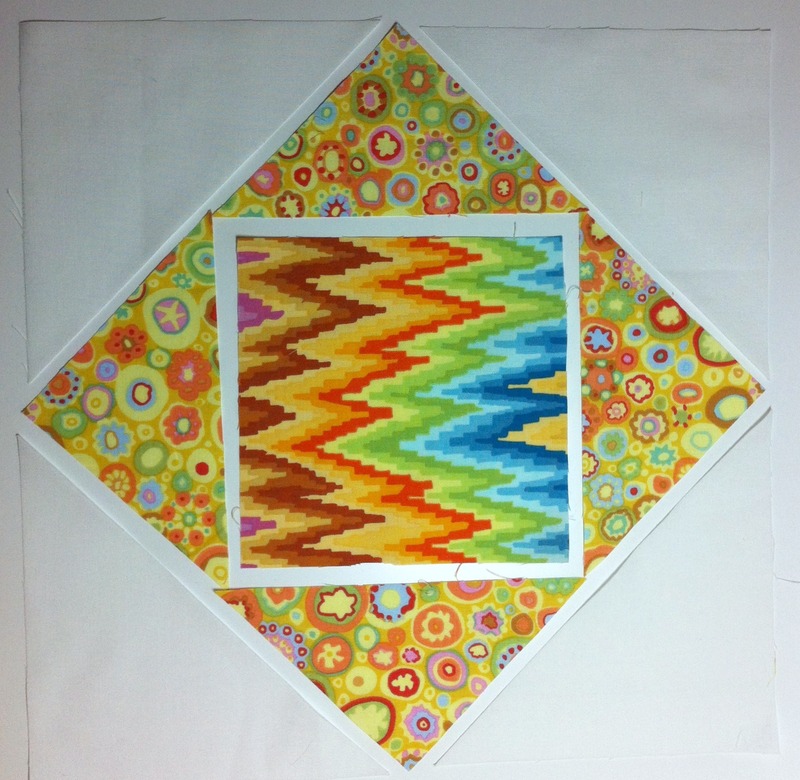 Place a background square atop one of your 4 1/4″ squares, right sides together (RST). 5. Lay out 4 Corner Units and 9 – 2 1/4″ squares as shown below. NOTE: Take care to sew a scant 1/4″ seam allowance. 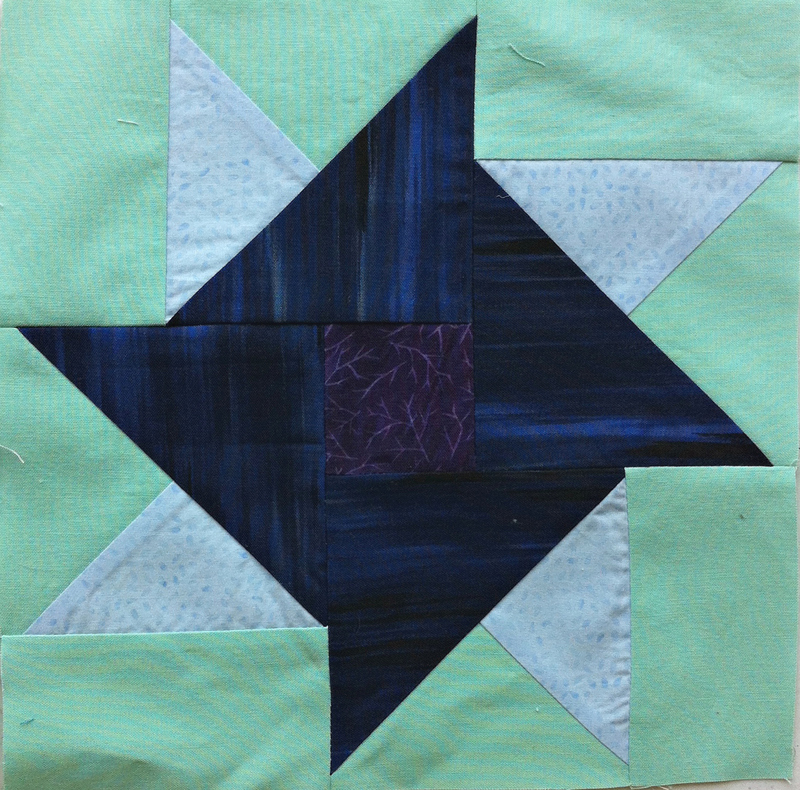 If your seam allowance is too large or inconsistent, your block will not come out to 9.5″ unfinished. 6. 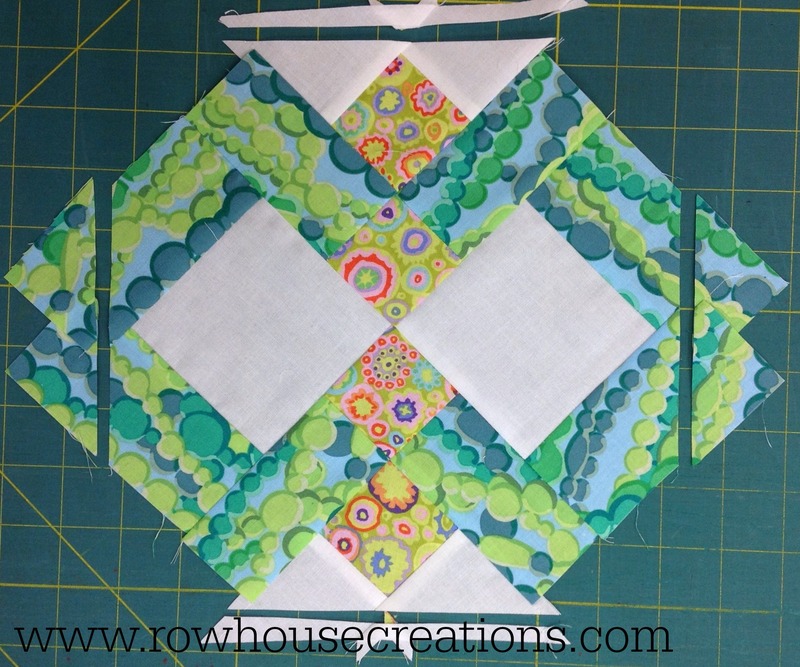 Join into rows, join rows to complete Spool Block. 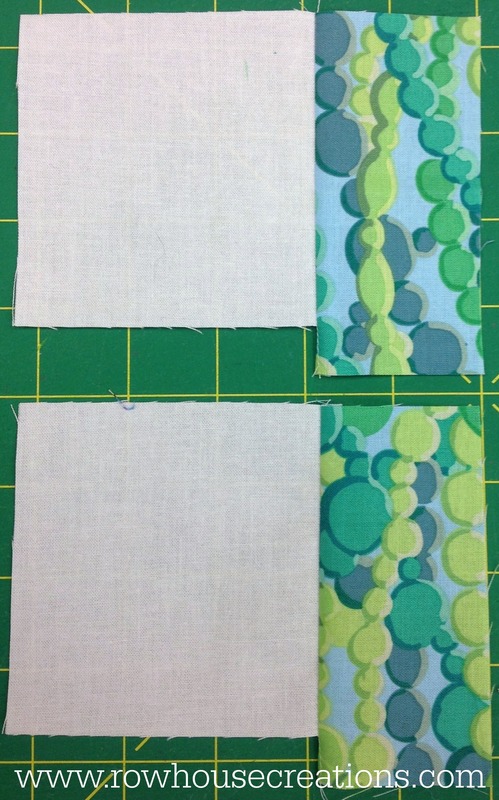 Notice Trina (her block is on the left) used her background fabric as her accent fabric #3, too; which yields a slightly different, cleaner look. It makes her other two fabrics really pop! Block #10, the Economy Patch, by Ladies Art Company, 1897. The Ladies Art Company, established in 1889 in St. Louis, MO, offered quilt patterns for sale through their catalogs until the 1930s. Interestingly enough, they also sold finished blocks! 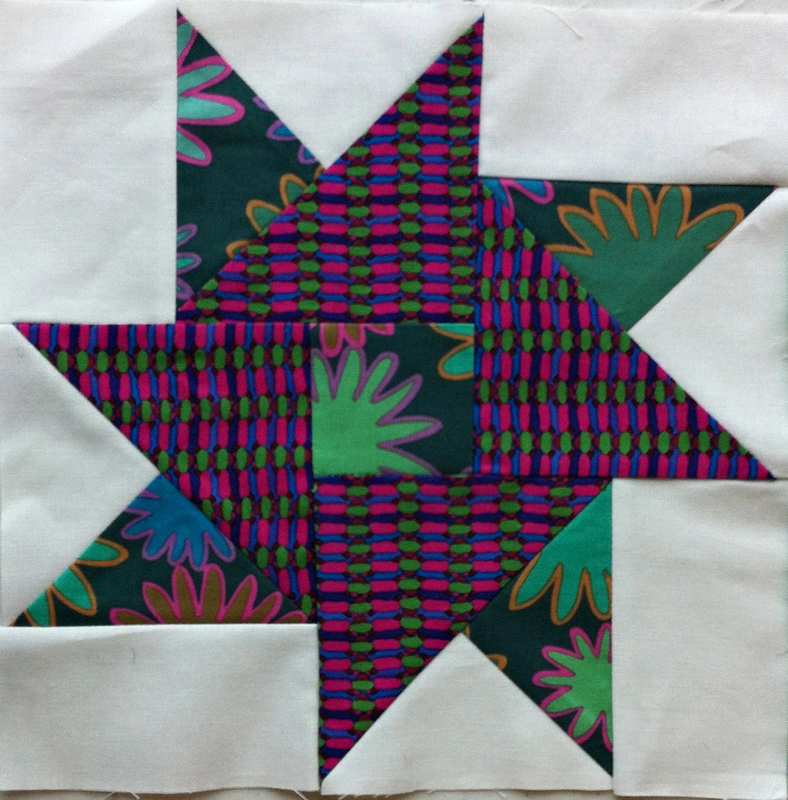 Accent fabric 1, cut 1 – 5 3/4″ square; cut in half diagonally in both directions to make 4 quarter-square triangles (QSTs). 4. 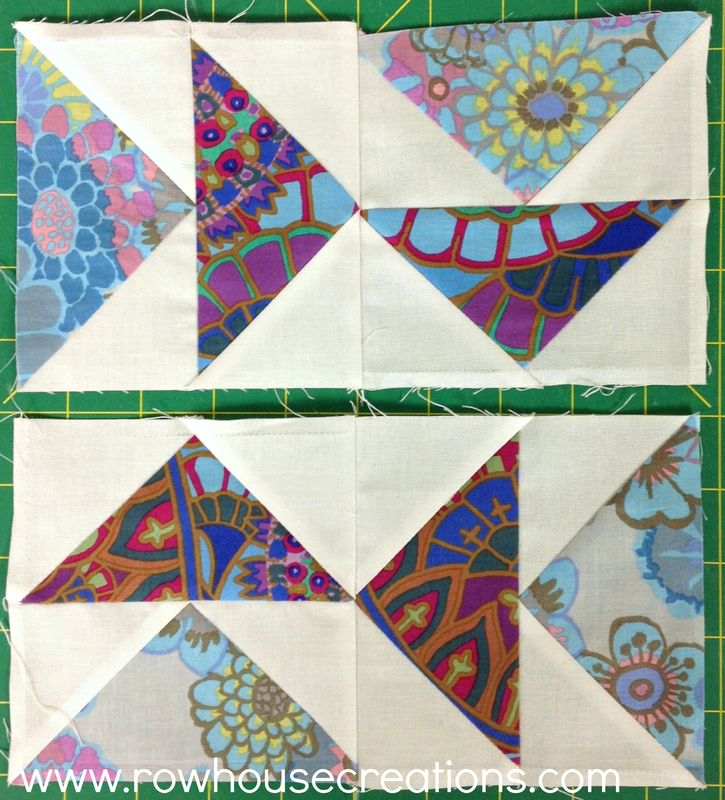 Repeat step 2 & 3 with HSTs. Press, square up to 9.5″. Background fabric, cut 17 – 2 5/16″ squares. Accent fabric, cut 8 – 2 5/16″ squares. 1. Lay out background and accent squares as shown in Cross Block Diagram. 2. Join into rows, join rows to complete block. 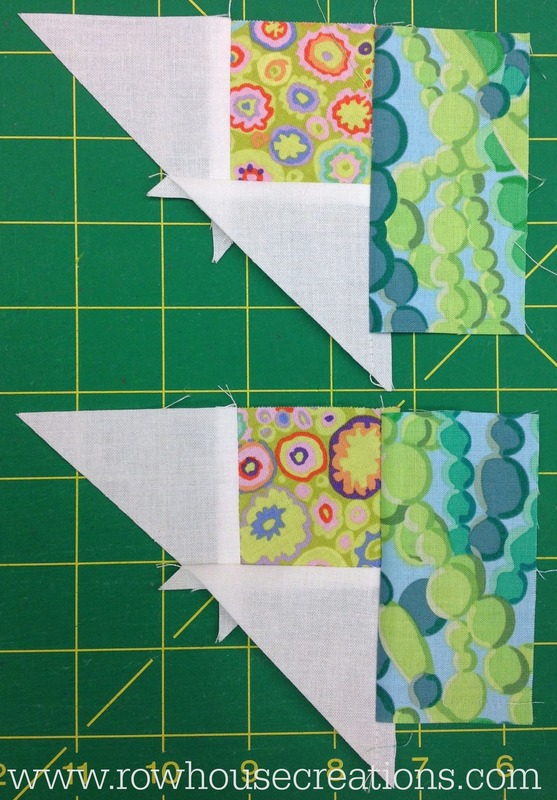 TIP: Press seam allowances one direction in rows 1, 3 and 5, and the opposite direction in rows 2 and 4. 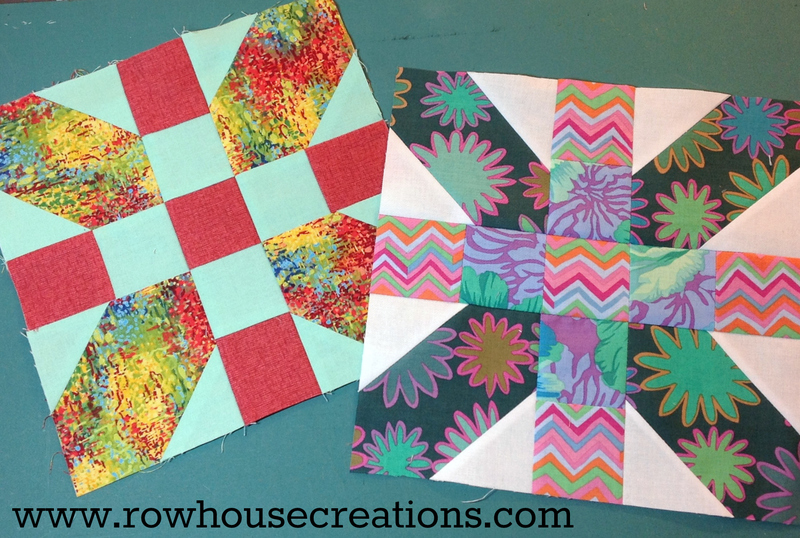 This will make your seams nest together snugly for better matching corners. We hope your blocks are coming along, and you like how they look; remember to share your pics with us via the Facebook page or the Flickr group!